This week was a whirlwind of crazy long hours but it was so worth it. We had the opening of my first solo exhibit, Botanica Animalia, on Friday night. It’s going to be on display until July 5, 2019 and it’s located at the Pompano Beach Cultural Center in South Florida. I was so caught up in the whole thing that I totally forgot to film stuff. Sorry! But you get to see a little behind-the-scenes of the installation and how it all came together. I hope you enjoy it! I had the honor and privilege of being invited as one of the 5 panelists for the Graphic Artists Guild Live Chat event for the Southern Region of the country. This is one of three events in total they are doing this year for this region of the country. The other two will take place in a couple of weeks in Atlanta and Dallas. So of course, I was stoked! It was hosted at the lovely Design Moves marketing studio (I fell in love with this place!) and the owner Larissa Castelluber, in Oakland Park, Florida. We spoke about the importance of understanding, creating, AND using contracts with every single client and job. No job is too small for a contract. As artists, graphic designers, illustrators, and surface pattern designers we often take for granted how vital it is to protect our work, our rights, and ourselves professionally. Our panel was moderated by Yanika, a fellow artist who works with the Guild, and she guided us along several questions. As each of us took turns to answer, it was refreshing and comforting to see that regardless of the type of creative job each one of us does, we seem to come across similar obstacles. It was great to share this information about moving along through hurdles, because some great tips were shared! If you are an artist and have no idea about what to do when the time comes to give a potential client and estimate or a contract, this is my go-to resource: The Graphic Artists Guild Handbook. I use it EVERY SINGLE TIME I have a new job. It helps me figure out my rates, fees, and even more delicate matters like writing and sending out Cease and Desist letters (because it’s happened to me and I have successfully used them). Please do yourself a favor and get this book! I spent yesterday morning setting up and installing my artwork this week’s solo show opening at the Pompano Beach Cultural Center. I was graciously assisted by the curator herself, Juliana, and another staff member, Justin, who installed the frames like a wizard! Here are some tips I would like to share with you from this experience. Plan ahead of time: As soon as I got the email with the generous offer for a solo show at the center I immediately started to organize in my mind how I would plan this out in order for everything to go smoothly. It’s important to be professional and understand that an invitation like this should never be taken lightly, and that means that you will be a part of a team (in the place where the exhibit will take place) and there are schedules and people’s jobs that need to be taken into consideration. Draw a layout of the artwork in the place where they will be displayed: This might seem like a no-brainer but you’d be amazed how many artists don’t even ask for a floor plan and photos of the place, or even a visit, of the area where they will be hanging their stuff. I wasn’t in Pompano at the moment I received the invitation so first thing I did was ask them to email me a jpg of the floor plan and some photos of the walls. So ask away, they will be more than happy to supply that information to you. Create a theme or a story: If you have a collection of pieces that go well together, go a step further by telling a story in the way that they are displayed. In my case for example, I was small clusters of botanical pieces, in groups of three, some in black and white other in color. The natural thing that came to mind was to display them just in the manner that the process to make them takes place. So I started off with the black and white illustrations and then the full color illustrations. And then I thought, well, why not go back a little more and show how those black and white illustrations come to life? So I started the sequence of the pieces with some hand-drawn, micron pen, ink studies. I then decided to create some arabesque embellishments in Adobe Illustrator and had those printed and cut out as vinyl decals (stickers) that could be stuck on the wall. Each mini-series (the ink studies, the black and white illustrations, the full color pieces) was carefully and thoughtfully embellished with stickers that were placed underneath and on the sides of the frames. It brought a fresh and cohesive look to the entire exhibit. Don’t be afraid of incorporating new media: The fun thing about exhibits today is that there are endless possibilities of adding video, visuals, 3d mapping, and all sorts of new and different technologies. You don’t have to go super fancy or spend money really! I was lucky that they offered me a TV screen for this show! It will give me chance of displaying my process, in video, by showing some of the time lapses and speed paintings I currently share on my social media channels, such as Instagram and YouTube. All I need is a USB flash drive to hook up to the tv and I’m good to go! The TV will be hung right next to the place where the exhibit will start. Framing and Transporting: An overlooked part of this whole process is how to properly frame and transport your work (safely!) to the gallery. You have several options, among them hiring somebody to professionally frame your prints, or you can learn to do it yourself but you need to find the right supplies. I talk a little bit about it in my latest vlog. I suggest buying a roll of kraft paper to wrap each piece individually so it doesn’t get dirty or scratched. And use those frame cardboard corners for protection! Remember, my illustrations are prints and they are framed, so this might change depending on the type of medium you are working with. This is just a short summary of the things I took into consideration when preparing everything for this week’s show. If you have any additional tips I would love to hear about them! My latest weekly vlog is up on my YouTube channel. I learned (taught myself, really) how to properly, or at least semi-decently (hopefully professionally) frame an art print. I got some basic supplies like double stick tape, acid-free foam backing boards, and archival photo corners. Here’s a recap of what happened. I hope you enjoy it! My first encounter with wallpaper happened at my great grandmother’s apartment. I would say around 1985. That’s my earliest recollection. She had a major love thing for powder pink…no wonder I’m obsessed with that color, guess it just runs in the family! Then I started noticing more and more patterns at my grandmother’s home. Like everything was covered in groovy 60’s and 70s’s-inspired wallpaper. We’re talking like big chunky florals and blocks of color. She was always hip! I also remember the time when it came to remove all of that wallpaper from the walls. Oh, that was NOT fun. We ended up painting the apartment in boring beige tones. It’s normal for cycles to start and end…but so exciting to see a major comeback of wallpaper and wall murals. They can add so much life to a room. You can cover the entire space, say a bedroom, deck out the entire kitchen, or just use on small panel and decorate a closet door! I’ve got some brand new designs over at my Society6 Shop and they are bold, bright, and will definitely make a statement! And the best part is that they are all removable. You can peel and stick them on the wall, take them off and no trace will be left. Perfect for renters, DIY lovers, picky landlords, and even shop and boutique owners. What do you think? Music is such an important aspect of my life as an artist and human being. I always have some sort of music playing whenever I am working, drawing on my iPad, drawing with micron pens, using Photoshop…traveling, eating…you name it! I can’t put into words what music does to me, how it has shaped my life, and how it has been a guiding beacon of light during the darkest times. I relish in the variety of sounds and genres out there, and even though rock and roll will be my number one love, I am drawn to so many other types of grooves, electronica being a really strong one! I have been a fan of Underworld since I was a young teen. You might know them from their huge hit, Born Slippy (Trainspotting) or simply as one of the most influential bands in the electronic and music world. These guys are BIG. So this is this week’s music recommendation for artists (or any music lover! ), and I hope you dig it! So here we are with my 3rd vlog! I guess I'm officially an illustuber! It's very exciting because I have become more comfortable with recording everyday snippets of my life as an artist. I figured that it's important to relax and focus on documenting my experience rather than producing the most epic content ever. Hopefully you will appreciate this and maybe find some of it relatable. I recently got an iPad because I was seeing everybody swooning over them and Procreate. I had no idea of the amazing things you could achieve with Procreate! If you're still curious or not sure I would definitely recommend giving it a try. The biggest advantage I have found is being able to draw ink illustrations and not have to worry about scanning and cleaning up the background afterwards. That is a huge time saver! It's not to say I have said goodbye to good old paper and microns, but when you're in a time crunch and you need something to be digitized it's definitely the way to go. In this vlog I share a little bit of my process for making a new botanical illustration. I found this method to be the most effective! I'm lucky because I have access to the majority of florals, leaves, and botanicals right in my backyard. So what I usually do is go scouting, scissors and camera in hand, and pick the prettiest ones I find. I do have to say…I don't always cut the flowers I like. That's why I take a camera. I take a picture because I honestly feel a little guilty cutting them. After collecting some beauties I go back home and this is where the analog fun and magic begins to happen. I get some paper and draw out the shape that's going to contain all of the flowers. In this video you will see me making a floral heart. So I draw out a simple heart and then tape the flowers right on the paper. It's lots of fun to be able to create a 3D collage of some sort. After playing around with the composition I am ready to take a photo of it and then export it to Photoshop where I will mess around with levels. Then I will take that photo (in black and white) into Procreate and then begin a whole new process there. I will use Procreate until I finish inking and coloring the entire botanical illustration. I hope you like my process and a little bit of my mundane weekly art journey. I would love to hear from you if you try this botanical illustration method out, let me know in the comments! I have always loved a good challenge so I decided to participate in this year's Global Talent Search with Lilla Rogers. This will be my third time and the reason I keep going back (aside from dreaming about scoring representation by Lilla) is to learn and grow and be a part of a wonderful artist community. I made it to the Top 50 Semi-Finalists in 2015 and it was really exciting. This year's Round 1 theme was all about creating a cover for a gardener's journal. We were prompted to draw Japanese anemones (OK, I'm obsessed with that flower now) and staghorn ferns. I ended up adding a rabbit because no garden is complete without one. Good luck to all the participants and keep your finger crossed because the semi-finalists will be revealed next Friday. 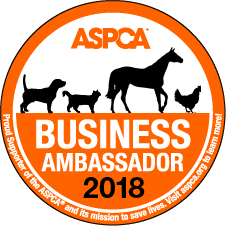 I'm an ASPCA Business Ambassador! Hi lovelies! I can finally share some the good news that I've come across recently (part 1 of 3 things I am dying to share with you!) and it's that I have partnered with the ASPCA (American Society for the Prevention of Cruelty to Animals) as a Business Ambassador. This means that I am part of a growing network of small business owners that have come together to make a life-changing difference for animals across the United States. I hope you can help me by supporting my art and business while helping so many animals in need across our great country. I am proud to support the ASPCA® and its mission to save lives. To learn more, visit: aspca.org. This is what I love about art. Making fabulous images and helping people who really need it. So starting today and until September 1st, ART ON A POSTCARD and CULTURE LABEL will be holding a postcard lottery to raised funds to cure Hepatitis C (The Hepatitis C Trust). One of my hand made postcards is in the lottery! It's only £10 and you can own one of the many amazing postcards made by some pretty great artists. Here's a picture of my postcard. Some new work just got published in local paper from Medellin called Vivir en El Poblado. The article highlights several species of fauna and how they have had to adapt to a an ever-growing city. Thanks to Laura Montoya and Saul Alvarez for allowing me to be a part of the newspaper once more! Click here to read the article (it's in Spanish, sorry!). I'm very excited to announce I am working with 109World in hopes of helping out communities in dire need around the world. On another note, did you know that seahorses are the only species on earth in which the male falls pregnant and carries the young to term? This majestic creature is highly endangered because of its attractive qualities. Traditional medicine trade, jewelries, aquarium trade and unsustainable methods of fishing puts the seahorse at high risk of extinction." Society6 Sale - Saturday Only! It's finally here! London peeps! Art on A Postcard will be raising funds for the Hepatitis C Trust today and all weekend as part of the London Illustration Fair. Buy a lottery ticket to win a postcard from this amazing selection of artists. I'm super proud to be participating this year with two of my works. (Bottom left corner...the macaws and first one on the right, the whale!!). Pass it along if you're in town. Photocircle Interview - All the way from Germany! So excited! A super fun interview about my work and life from my German friends at Photocircle. Click here to read it!